Reactive oxygen species (ROS) are excited or partially reduced forms of atmospheric oxygen, which are continuously produced during aerobic metabolism like many physiochemical processes operating throughout seeds’ life. ROS were previously known merely as cytotoxic molecules, but now it has been established that when tightly regulated to low levels they perform numerous beneficial functions in plants including many critical roles in seed physiology. This ROS homeostasis is achieved owing to the presence of a well-coordinated antioxidant system, which is composed of many enzymatic and nonenzymatic components. ROS reportedly facilitate seed germination via cell wall loosening, endosperm weakening, signaling, and/or decreasing abscisic acid levels. Most of the existing knowledge about ROS homeostasis and functions is based on the seeds of crops and model plants. This information about the seeds of non-crops such as halophytes is limited to just a few studies. Furthermore, mechanisms underlying ROS functions such as downstream targets, cross talk with other molecules, and alternative routes are still obscure. 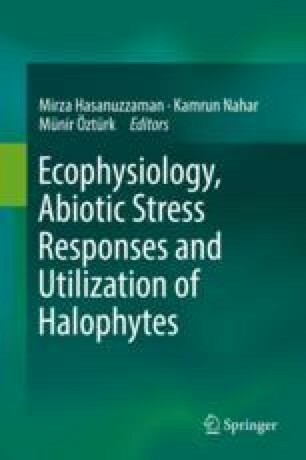 The objective of this article is to present an overview about (i) general mechanisms of ROS homeostasis in plants, (ii) ROS homeostasis in dry seeds, (iii) ROS metabolism in germinating seeds under optimal conditions, and (iv) ROS flux in germinating seeds under stress conditions with special emphasis on halophytes. Authors Aysha Rasheed and Sarwat Ghulam Rasool have equally contributed to this chapter.